Archive cards by clicking "Archive Card" in the Actions menu on a card's back. 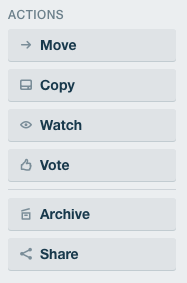 Or you can also select "Archive" from the card menu (click the pencil icon that appears on hover). 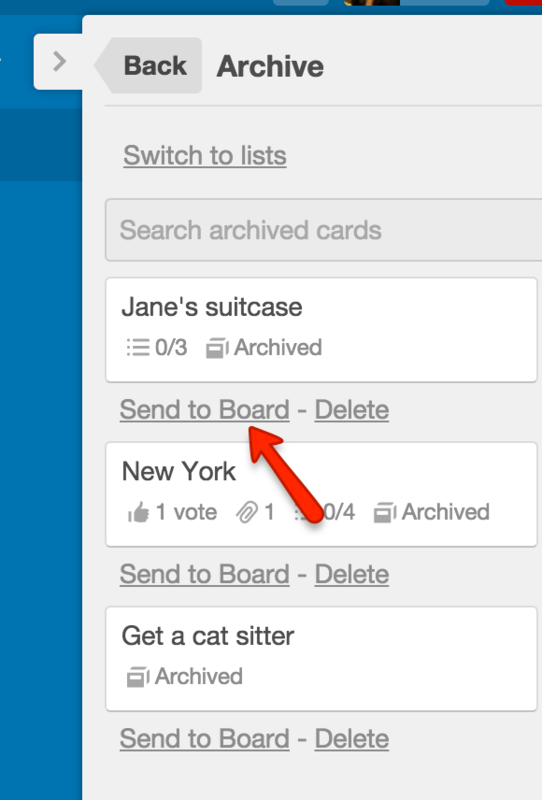 You can also archive with the "c" keyboard shortcut when hovering your mouse over a card. Archive cards you no longer need on your board. FAQ: Will archived cards be deleted eventually? Archived cards will remain archived indefinitely. 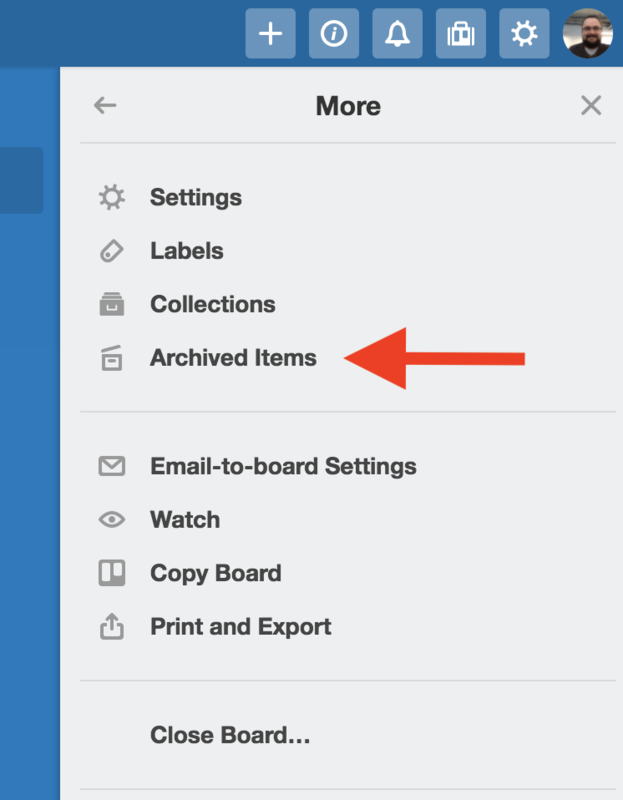 Although you or another board member can choose to delete those cards or send them back to the board at any time, they won't be deleted automatically. You can leave them archived for as long as you like and still retrieve them later whenever you need them. 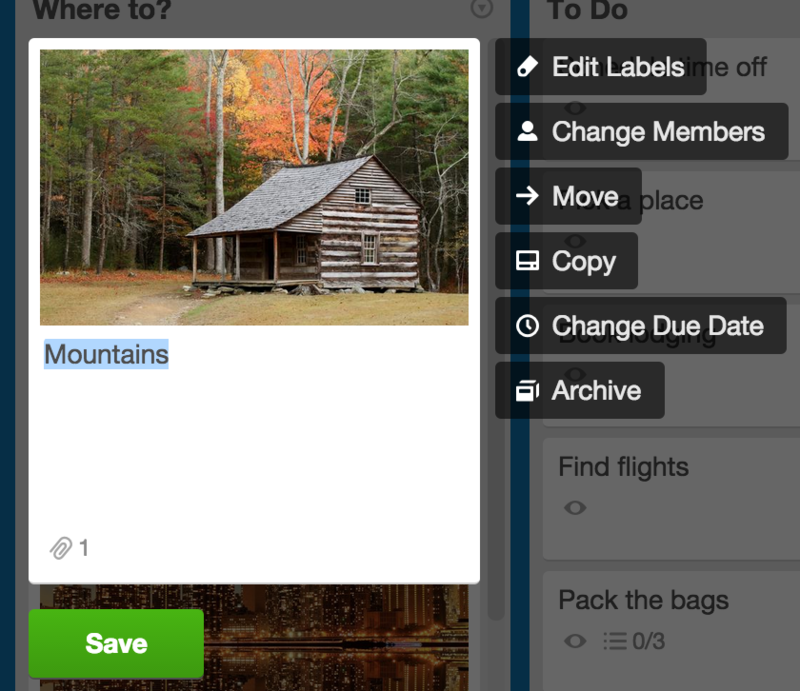 On the board menu, click "More" then "Archived Items", find the card and click "Send to Board". The search bar will bring up a list of archived cards that match your terms. You can use the same special operators as the search bar—see Searching for Cards (All Boards) for a full list. Deleting a card is permanent, and deleted cards can't be restored. If you just want to clear the card off your board, you can archive that card instead, so that you can access it again later, if needed.